Bro. Baxter was approved as a church planter by the BBF at the September 2010 meeting in Chicago. 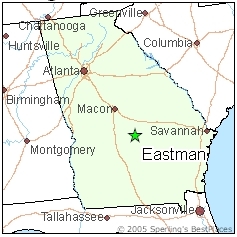 He is planting a multi-cultural church in Eastman, which is located in lower Central Georgia. Eastman is a small community of about 6,000, and the location of the very first Stuckey’s! Currently, Bible studies are being conducted, and Bro. Baxter is looking to reach out further into the rural areas surrounding Eastman.